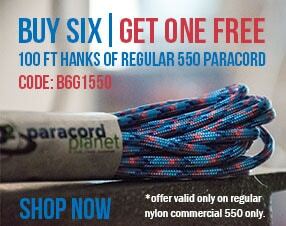 Our 750 paracord is perfect for those projects where 550 paracord just isn't enough. This 750 cord has 11 twisted double inner strands and a woven outer shell and a full 750 pounds of break strength! 750 cord is especially well suited for paracord belts, dog collars, and other heavy duty applications. Our 750 paracord is currently available in our 30 most popular colors and patterns, with more on the way! 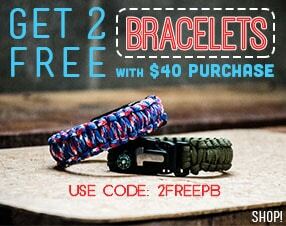 750 paracord will not rot, mold, mildew, or fade, and is MADE IN THE USA! Our Type 4 paracord has 11 core strands (including the load-bearing marker strand). All core strands are 3-ply (including the load-bearing marker strand).